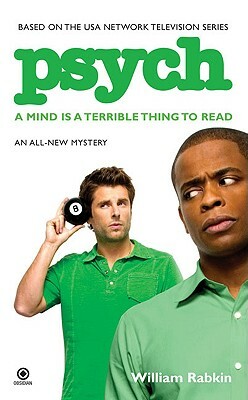 Shawn Spencer has convinced everyone he?s psychic. Now, HE HAS TO either clean up? or be found out? After the PSYCH detective agency gets some top-notch publicity, Shawn?s high-school nemesis, Dallas Steele, hires him to help choose his investments. Naturally, their predictions turn out to be total busts. And the deceptive Dallas is thrilled that he has completely discredited and humiliated Shawn once and for all?until he?s found murdered. But the police have a suspect?found at the scene with a smoking gun. And she says Shawn took control of her mind and forced her to do it. After all, he is a psychic?